With Christmas just around the corner, welcome to the December issue of our Research e-bulletin. Bringing all the Faculties and Institutes research news, events and information from across the RSB Office and The Graduate School. Welcome to the first issue of our new look Research e-bulletin. Our e-bulletin is produced on a monthly basis and brings all the Faculties and Institutes research news, events and information from across the RSB Office and The Graduate School. To find out what Julia Lock has been doing, follow this link! We are re-launching the University’s PhD Supervisor’s Forum. 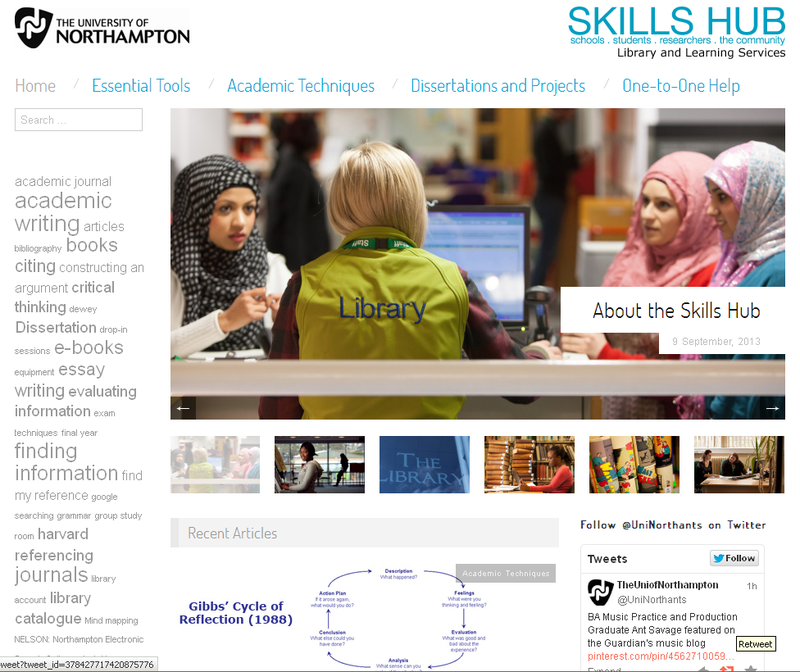 The Skills Hub is a new open access resource from Library and Learning Services containing videos, guides, interactive tutorials and blog posts on study skills topics. The material covers an array of levels and is for use by students, schools, researchers and the community. Academic staff are welcome to link from within NILE to specific materials on the Skills Hub. Library staff will also be publicising and tweeting links to timely resources on the hub at targeted points throughout year.